We design life-like simulations empowering crucial behavioral skills. Pioneering Artificial Intelligence applied to Interactive Video Training. The place where professionals from around the world improve their performance by shaping communication and negotiation business skills through interactive simulations. 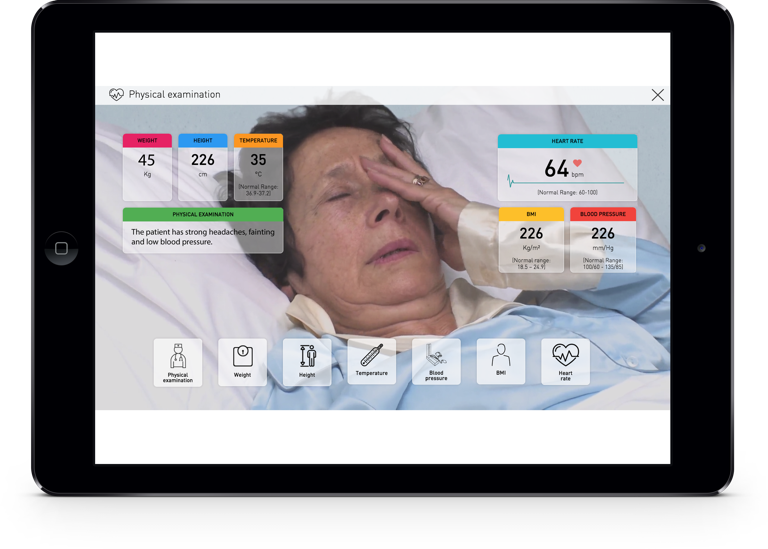 A suite of Authentic Interactive Patients designed for medical education. Fully integrated into the College Curriculum, for experiential and collaborative education. We love to listen to our clients and help them craft the perfect personalized scenario matching their daily challenges. We already collaborate with the most prestigious brands worldwide. Would you like to discuss your special needs with us? Every day more and more people practice their skills with our simulations. Brands from all over the world are adopting our solution for performance improvement. We localize scenarios from English to other languages, including Arabic and Chinese, for a total immersive local experience.